With festival season around the corner (yes, I'm talking about Coachella) I'm excited to see an abundance of stylish backpacks on the market. These store alls aren't just for transporting text books anymore, backpacks are the perfect catch all for a days worth of necessities. So, if an oversized clutch isn't for you, take a tip from all the too fab for words models wondering the global fashion capitals, and store your extras in an updated backpack. From a black quilted Chanel to a graphic patterned Jansport, some of fashions favorite faces are packing it up in style. I love how classy and cool backpacks have gotten–they're a far cry from my L.L. Bean monogrammed days! I love number 4! I need one for all the music festivals I'm going to this summer! Love that top photo...and of course a chanel backpack! 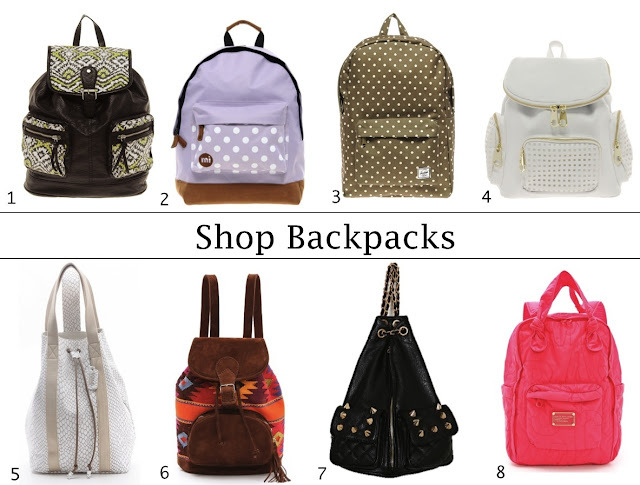 Back packs are so in, love your choices ! Love the second photo! what a great street style shot! I love your round-up of backpacks as well.... So are you going to Coachella?? how fun would taht be? 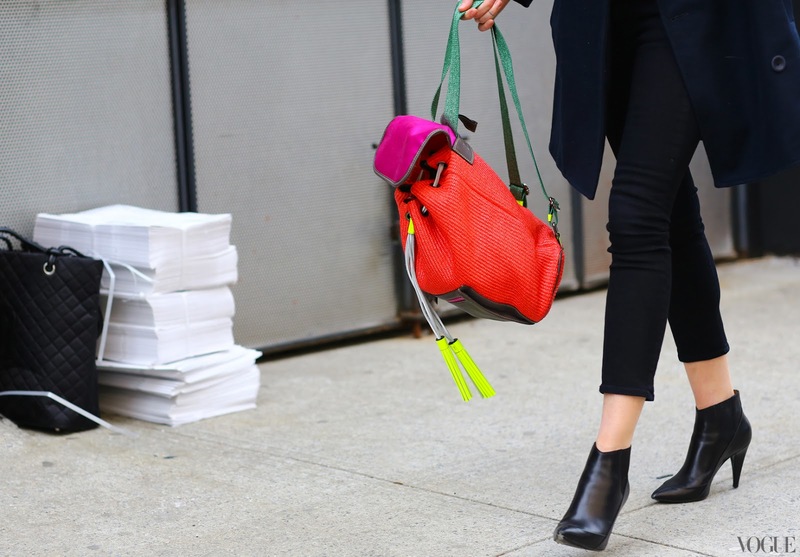 That Chanel backpack...*drool. A girl can dream, right? I've never really been into backpacks, but I gotta say, that white ASOS number is calling me.